Judy Watson was born at Yarungkanji, Mt. Doreen Station, when many Warlpiri peoples were living a traditional nomadic life. 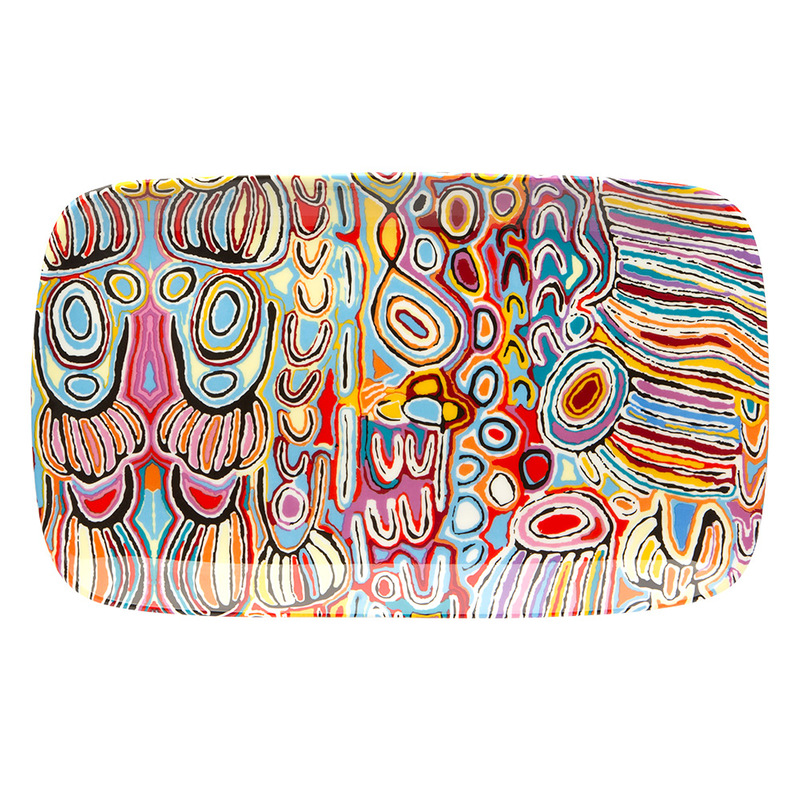 She developed her own unique style and represented a move towards more abstract rendering of Jukurrpa by Warlpiri artists. All the while, she has retained the importance of place and song. This painting depicts the Jukurrpa story of a group of women who travelled to the east, while gathering food and performing ceremonies. 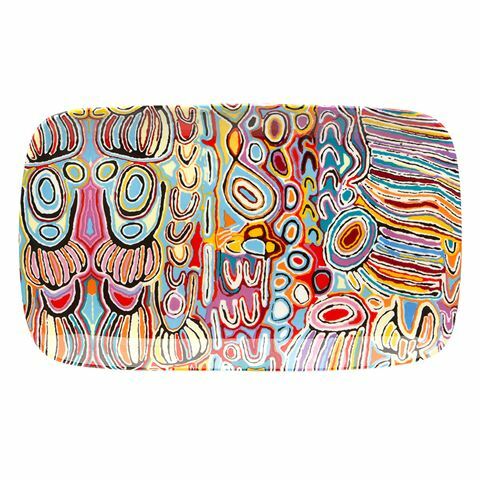 This stunning painting with its colourful palette and expressive use of traditional dot-work, is featured on this fine bone china Long Plate from Alperstein. The quaint plate is perfect for serving small appetisers at your next dinner party, and can even serve as a traditional display piece for your home. Dimensions: 27cm (w) x 16.5cm (h). Design: "JU" by Judy Watson.